Couples Swept Away is an all-inclusive, couples-only (18+) resort, located on the breathtaking white-sand beaches of Negril. A bounty of tropical gardens and an ambiance drenched in romance and escape, Couples Swept Away redefines your idea of paradise. In an idyllic setting that is as invigorating as it is inviting, you'll uncover the tranquility of an intimate, all-inclusive hideaway. 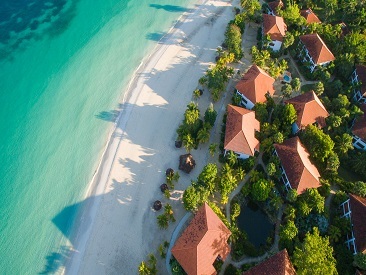 Explore seven miles of pure white sand, savor island cuisine in an open-air café, and surrender your stress in a spa dedicated to relaxation. Let Couples Swept Away capture our heart and soothe your soul. Nestled in charming Negril, Couples' most private, peaceful resort offers everything you need to unwind, from yoga lessons to fine gourmet dining. However you choose to spend your time at Couples Swept Away, there will be unlimited opportunities to wrap yourself in its radiance and indulgent pleasures. With acres of breathtaking white-sand beaches, a bounty of tropical gardens and an ambiance drenched in romance and escape, Couples Swept Away redefines your idea of paradise. In an idyllic setting that is as invigorating as it is inviting, you'll uncover the tranquility of an intimate, all-inclusive hideaway. 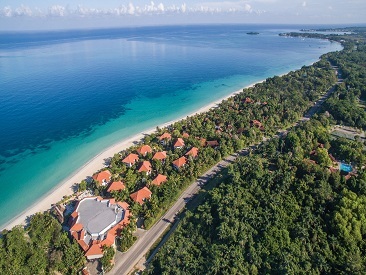 Nestled in charming Negril, Couples' most private, peaceful resort offers everything you need to unwind; from yoga lessons to fine dining at the gourmet restaurant, Feathers. However you choose to spend your time at Couples Swept Away, you'll discover unlimited opportunities to wrap yourself in its radiance and indulgent pleasures. Couples receive a complimentary* 'One Love' wedding package with stays of 6 nights or longer at all Couples Resorts. Professional on-site wedding planners take the trouble and worry out of the entire planning process - so the bride-and-groom to-be can relax and enjoy! Click on WEDDINGS tab for details. Honeymooners receive a complimentary bottle of sparkling wine and a 25 minute His/Hers massage in the spa. To receive your complimentary amenities, Couples Resorts requires a minimum stay of 6 nights and valid proof of marriage at check-in. Honeymoons must commence within 30 days of wedding date. Loyal guests can earn "Romance Rewards." Upon your return visit to Couples Resorts you will be pampered with unique benefits based on your Romance Rewards Level. Benefits may include logo T-shirts, invitation to Repeat Guest Dinner, his and hers massages, resort credit (starting at just 6 nights previously stayed) which may be used to pay for Spa and Salon treatments, gift shop, upgraded wines, telephone charges dialed from room, photos and photo packages taken by the resort photographer, romance packages and private dinners. Please Note: Couples must be at least 18 years of age. Resort credit (when applicable with special promotions) can be applied to room category upgrades (subject to availability), spa and salon services, private dinner on the beach, photos and photo packages from resort photographers, telephone, general manager's special wine list, gift shop or romance packages. 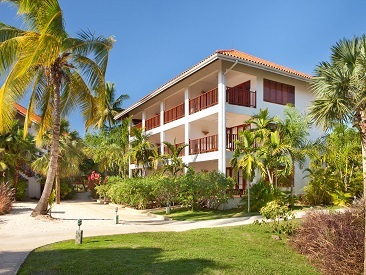 Complimentary Wi-Fi is offered in rooms and throughout most of the areas of the resort.